Over the past two weeks, the PGF team worked on designing the lesson plan page’s design. Each activity – or group of activities – will have a lesson plan page that will include the standard teaching lesson plan as well as technical workarounds for teachers in low-tech schools. The first two activities to have written lesson plans are Photo Rhymes and Culture Video. Photo Rhymes is currently geared toward kindergarten and first graders and Culture Video is meant for second and third graders. These early lesson plans will be tested with teachers for their usability and adherence to teaching standards. 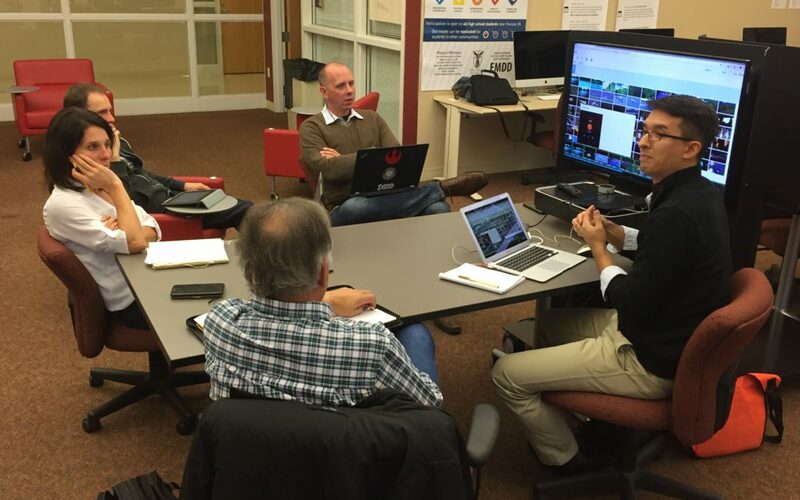 Members of Binumi also came to Ball State to discuss how to integrate Binumi software and the PGF website. Binumi is an in-browser video editing software with its own large database of video clips and audio. The Binumi website will be used for a number of PGF assignments.